To help travelers, Dollar Car Rental announced the introduction of an industry-leading debit card policy making it easier than ever to reserve a car using a debit card. As part of the changes, officials from Dollar said the new policy would eliminate credit checks, reduce proof of return travel and ID requirements and lower the renter age restriction from 25 to 20 years old. In addition, Dollar said it would be joining forces with financial expert and debit card advocate Dave Ramsey to spread the word about the new customer-friendly policy, including the fact that rentals booked more than 24 hours in advance will only require a debit card and driver's license. 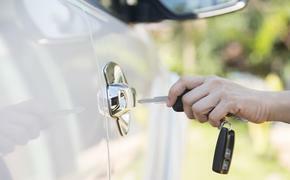 As for rentals booked less than 24 hours in advance, or rentals for Convertibles, Luxury and Premium vehicles, travelers can still use a debit card, but two forms of identification and proof of return travel plans are required. Customers will now only be required to deposit $200 as part of the incidental hold, plus the cost of the rental, for both debit card and credit card rentals. Dollar accepts all non-prepaid debit cards backed by Visa, Mastercard and Discover. The new policy is valid at all of its company-owned locations across the United States and demonstrates Dollar Car Rental’s investment in services that enhance their members' experiences and sets a new standard for family-travel.